* Physicist John Hartnett on the Surface Brightness of Galaxies: Real Science Radio co-host Bob Enyart interviews one of the creators of the most precise clock ever made by human beings, physicist John Hartnett, on evidence that appears to contradict one of the most fundamental claims of the big bang. Whereas "the Big Bang theory tells us that in an expanding Universe [distant galaxies] actually should appear fainter but bigger", which would reduce their surface brightness per unit area, it turns out that the surface brightness of the furthest galaxies studied is identical to that of the nearest galaxies! A 2014 physics journal paper reports careful observations of about a thousand galaxies that fundamentally contradict the prediction of the big bang. Astrophysicists led by Eric Lerner from Lawrenceville Plasma Physics published, UV surface brightness of galaxies from the local universe to z ~ 5 , (i.e., to very far away) and found that, as reported in Sci-News, "Contrary to the prediction of the Big Bang theory, they found that the surface brightnesses of the near and far galaxies are identical." And further, "It is amazing that the predictions of this simple formula are as good as the predictions of the expanding Universe theory, which include complex corrections for hypothetical dark matter and dark energy," said one of the study's co-authors, Dr Renato Falomo of the Osservatorio Astronomico di Padova, Italy. * Surface Brightness and the Big Bang: Like absolute magnitude for stars, the concept of surface brightness for galaxies is straightforward. However, it is more complicated to understand that which astrophysicists acknowledge, that equivalent surface brightness in both nearby and distant galaxies contradicts the big bang. Measuring surface brightness involves the canceling effects of light's inverse square law, with the area of the galaxy, which itself is calculated by squaring the radius. That relatively simple approach works very well with actual empirical data from our observatories. Yet, if the big bang theory were correct, the expansion of the universe would complicate that cancelation effect, and therefore that approach should not work. But it does. This is explained further by creationist physicist Dr. Hartnett (in a paragraph added at the request of RSR to his great article), Is there definitive evidence for an expanding universe? 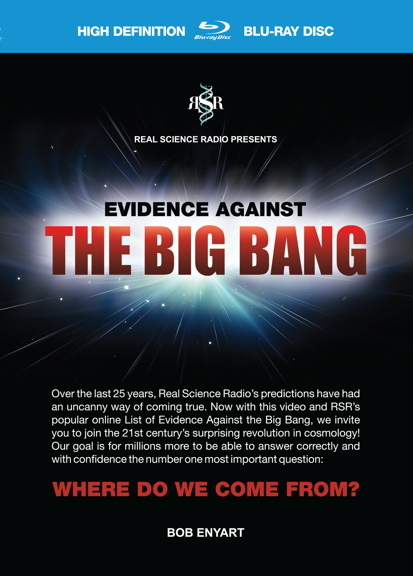 Update: Dr. Hartnett endorses RSR's Big Bang video! * Following Dr. Hartnett & His Work at CMI: Here at Real Science Radio we keep up with the latest in the the rough-and-tumble field of cosmology by following JohnHartnett.org and Dr. Hartnett's articles at creation.com. And you just my love listening to our rsr.org/hartnett-evaluates-rsr-evidence-against-the-bb interview! - for putting his name and city at the bottom of his first post. 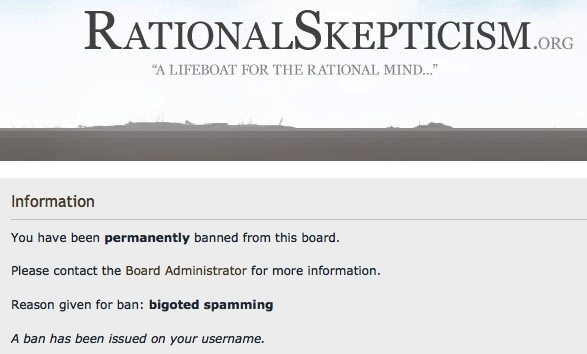 - for using the names "Darwin and Dawkins" in his first post. Really. - for accidentally capitalizing theropod's username. - apparently for signing some posts, just in plain text, without linking, as Bob Enyart, Real Science Radio.